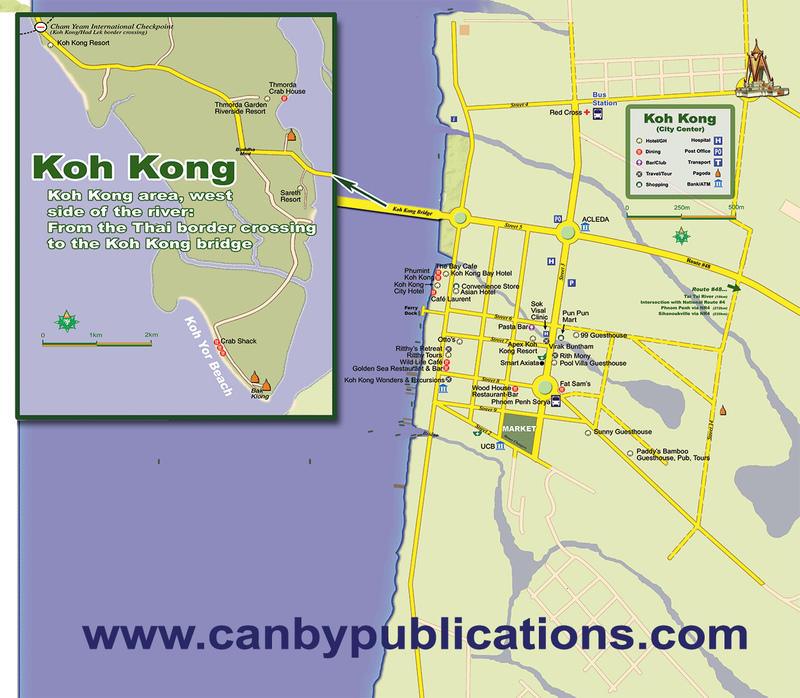 Koh Kong City is the capital of Koh Kong province, a comparatively small town sitting on the east side of the Koh Pao River about 10km from the Cham Yeam international border crossing with Thailand. Many travelers see Koh Kong only briefly as they pass through on the way to/from Thailand, but that is changing as the province is becoming something of an ‘eco-destination.’ To the north and east of the city, the jungled Cardamom Mountains cover much of the province, offering trekking, dirtbiking and river excursion possibilities. Heading the other direction, secluded beaches line the nearby coastline and island of Koh Kong. Base your adventures out of the city where you can arrange tours, rent boats, motorcycles, etc. There are a number of mid-range guesthouses and hotels in town and though there is not much to see in the city there is an international casino and one of the better zoos in Cambodia located near the border crossing.